The best and most important tip for any aspect of your wedding day is research! Research the different styles and materials of wedding dresses will help you massively when it comes to starting to look for your dream wedding dress in a shop. Even spending a couple of hours a night just looking through some wedding magazines to start with will broaden your knowledge and make the whole process easier. The time of year you’re having your wedding – you don’t want to start looking at summer wedding dresses if you’re having your big day in the winter season. Your budget – as you’re probably aware, wedding dresses can be so expensive! It is important to think about your budget before researching and you will soon realise what type of materials or styles are more expensive than others. Wedding dress trends – if you’re a big trend follower, take a look at future wedding dress trends to stay ahead of the times! Obviously, you don’t want to revile one of the main surprises of the big day to your guests. Therefore, getting opinions that you know are going to matter is so important. Like most things you will find when planning a wedding – quality over quantity works best! Also, don’t just take opinions and advice from people you know. Ask for professional advice, they will know what works best under most circumstances. If you take your time to explain what type of wedding day you’re having and what the wedding venue is like, they can then suggest things you may not have thought about. This is going to be one of the most talked about aspects of your big day, therefore it is important you are completely happy with your final decision. Take time to go to different wedding dress stores and boutiques – it can become a lengthy process but it will be worthwhile in the end. 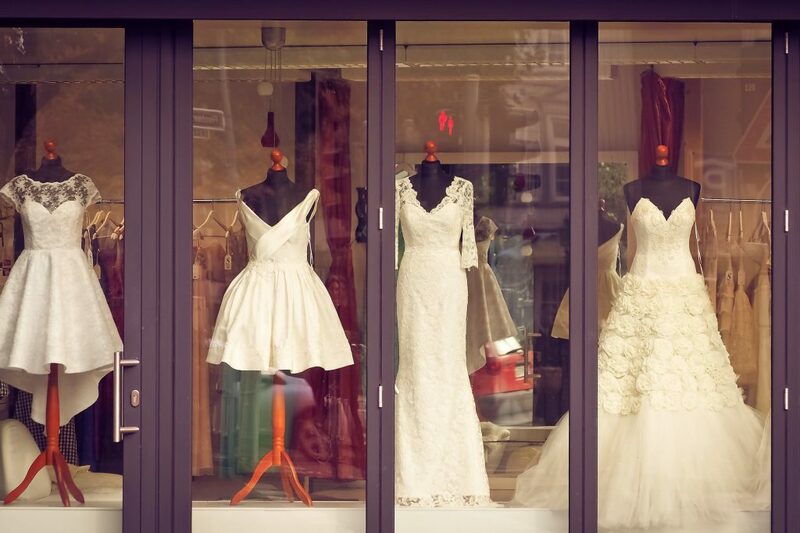 After visiting a few different wedding dress stores, you will probably start becoming sick of the process. Don’t let this affect your mindset! If you go into a new shop thinking you will come away with no progress then you probably will. Make sure you have people with you to ensure the process remains fun! Although the wedding dress is obviously the main attraction, accessories can make or break your wedding dress choice. If your wedding dress is simple, you can always jazz it up with glamorous accessories or alternatively you may just want to keep accessories simple – don’t be afraid to ask people’s opinions when you’re wedding dress shopping! #6 Remember it’s your decision! Ultimately in the end, go with what you’re happiest with. As-long-as you feel comfortable and happy with your decision, then that is all that matters. It is important to not get caught up in the mindset of pleasing everyone else on your big day. Your wedding dress is something you are going to remember and probably keep for the rest of your life – make it special! 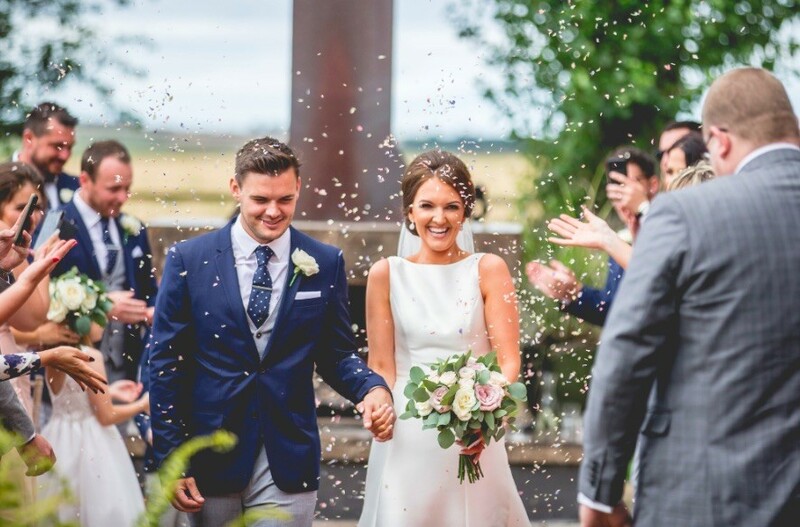 If you’re in the process of planning a wedding, don’t hesitate to contact us or take a look at our weddings page for some big day inspiration!